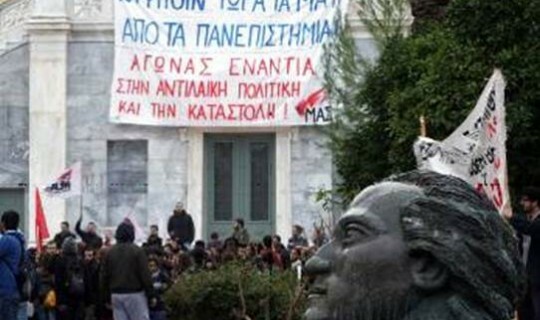 The Greeks of Melbourne will honour the 42nd anniversary of the heroic uprising of the students of the Athens Polytechnic against the junta of the colonels, with a special event organised by the Polytechnic Remembrance Committee on Sunday, November 22, at 4.00 pm, at the Cultural Centre "Democritus". The Committee calls all Greeks to participate and honour the students of the Polytechnic who fought for the fall of the hated junta and fascism. The slogan of the heroic students "Bread - Education - Liberty" is still relevant. The event is organized at the Cultural Centre "Democritus", 583 High Street, Northcote. Teacher John Milidis, will present a lecture on the events of the Polytechnic uprising, followed by a musical program with musicians Christos Ioannides and George Spyrou. Also, there will be a photo exhibition about the events of the heroic uprising of the students. The hall is air-conditioned and coffee, drinks and pastries will be offered. Admission is free to the public.